"Space Game 2 Returns To PC Gamers"
Picture yourself flying through the vastness of space.Enemies surround you,and you're being counted on to navigate your way through dangerous conditions,fending off predators as you take command of the turret and blast your way through fun-filled and challenging missions. Space Game 2 is the newest, fast-paced shooter strategy game,and the minute you begin to play Space game 2,you'll be hooked on the action-packed excitement. Return to the best-Space Game 2 is back,and better than ever before.Space Game 2 is designed for the everyday gamer,with each dimension of the game tailored with you the player in mind. of charge at www.woodstockproduction.com,because we're absolutely certain you'll love our game. Once you've brushed up on your skills and graduate from the demo version,you can save yourself the hassle and trek to the store you've grown so accustomed to taking an order to purchased the game(cough, Gamestop, cough).Not only can you download the entire game online in the comfort of your own home,but you can do it for under $10.Space game 2 online provides gamers with a stimulating,strategic,and high-energy game,and our goal is to create a shooting video game for everyone. With Space Game 2 download available for just $9,you can go ahead and buy that new controller or game you've had a eye on for so long.Download Space Game 2 now,and see what all the excitement is about,and we assure you that once you enter the turret seat,you'll have a hard time returning to reality. 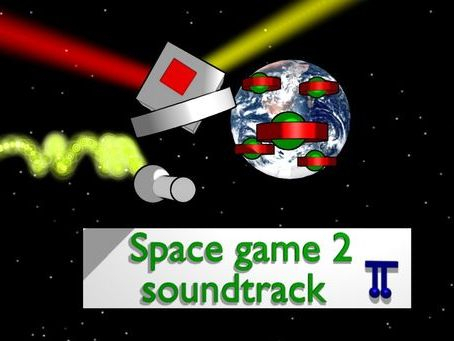 Space Game 2 offers three different gaming modes for a variety of excitement,and has dozens of nail-biting missions and challenges available for your entertainment. 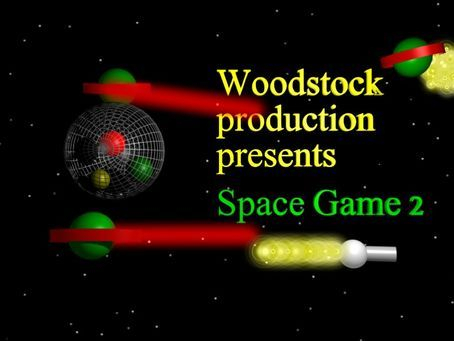 Most other outer space games online are slow,outdated,or have very few variety levels for play.For a more-than-affordable $9,you can be the first person to undertake original and unique new stages or challenges while listening to addictive techno beats. Space Game 2 is the best new online space strategy game-we stopped at nothing to provide you with hours and hours of fun-filled,galactic excitement.So what do you have to lose?Download and try your luck in the newest space strategy game online at www.woodstockproduction.com.We're certain you'll love our demo,and we can't wait to see you in action as you embark on your journey of survival through the dangerous and enemy-filled paths of space.